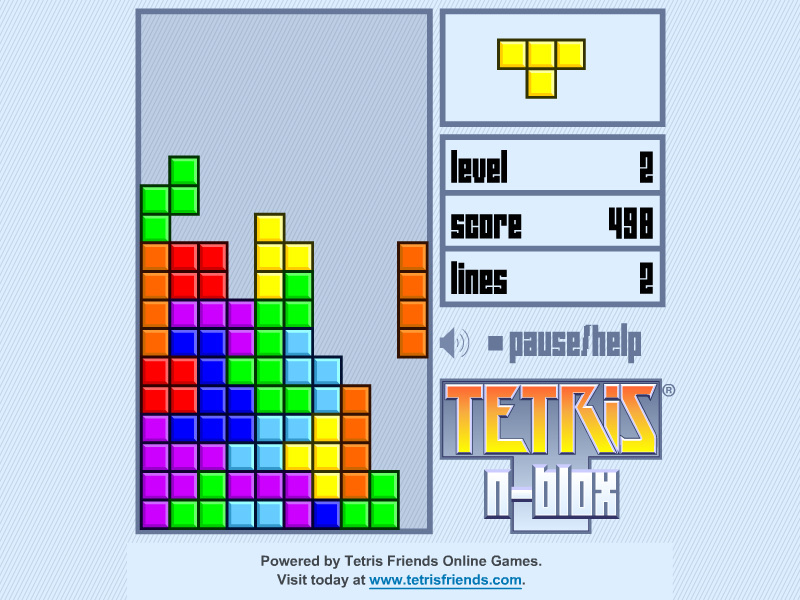 "Tetris" is a free online logic game to fit falling figures in suitable locations. Play Tetris online on computer. Arcade game. Fun logic learning game. Move with arrow keys and make more lines. 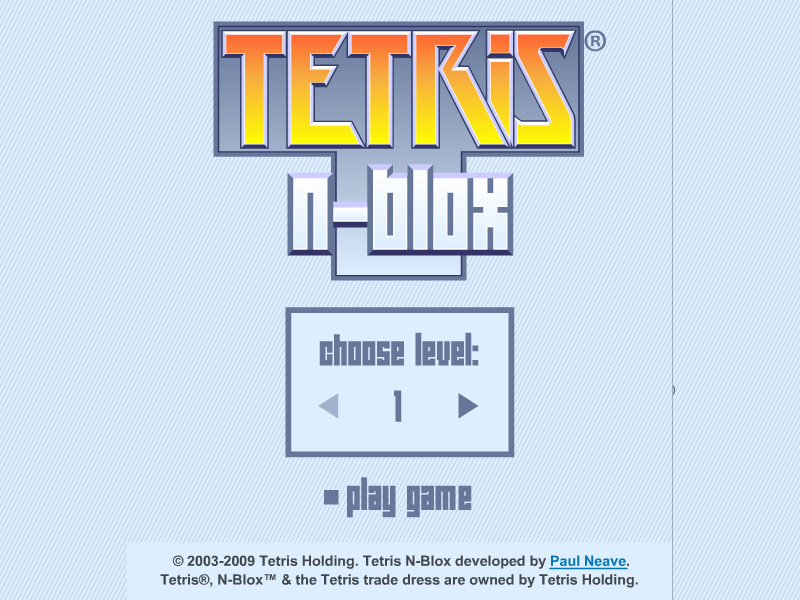 This is a classic tetris game made by Paul Neave. Detailed rules are described in the Class subjects section. Try to win a Tetris game. Tetriminos are game pieces shaped like tetrominoes, geometric shapes composed of four square blocks each. A random sequence of Tetriminos fall down the playing field (a rectangular vertical shaft, called the "well" or "matrix"). The objective of the game is to manipulate these Tetriminos, by moving each one sideways and/or rotating by quarter-turns, so that they form a solid horizontal line with no gaps. When such a line is formed, it disappears and any blocks above it fall down to fill the space. When a certain number of lines are cleared, the game enters a new level. As the game progresses, each level causes the Tetriminos to fall faster, and the game ends when the stack of Tetriminos reaches the top of the playing field and no new Tetriminos are able to enter. Some games also end after a finite number of levels or lines. Tetris is a tile-matching puzzle video game, originally designed and programmed by Soviet Russian game designer Alexey Pajitnov. The first playable version was completed on June 6, 1984, while he was working for the Dorodnitsyn Computing Centre of the Academy of Science of the Soviet Union in Moscow. Labels: Classicl Games , Arcade Games , Tile Games , Logic Games , Education Games , Free Online Games.